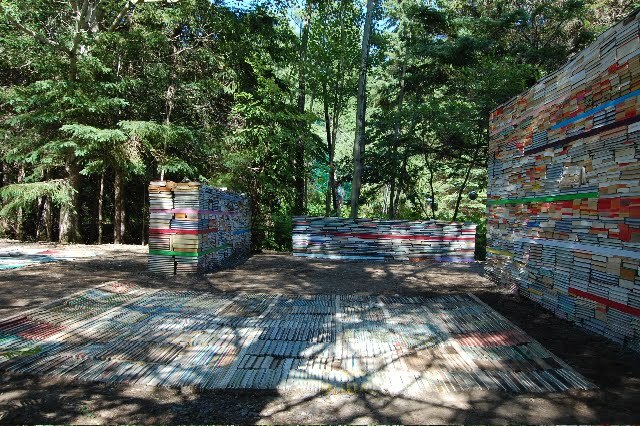 The Jardin de la Connaissance is a temporary garden in a forested area involving approximately 40,000 books, multi-coloured wooden plates and several varieties of mushrooms. Looks lovely. Quiet. Relaxing. Aaaah.